When Vista Window Cleaning was started in the Spring of 2003, we had one goal in mind, to offer the highest quality window cleaning services with the highest level of professionalism, backed by a 100% satisfaction guarantee. Fast forward to today and we have not changed that goal one bit. 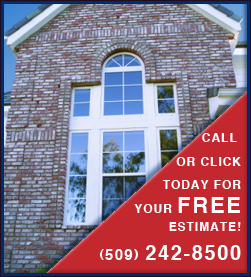 Vista Window Cleaning is now the premier window cleaning company in the Spokane area. Thanks to our hundreds of satisfied customers, the majority of our business comes from referrals. Now that’s a service record to proud of! We deliver a service to your door, with a smile and professionalism and leave you smiling, sipping your coffee, reading your newspaper, while enjoying the view out your gleaming windows.